Students from Junior school were lucky enough to attend workshops with Nicholas Lochel, co author of Zakora, today in the McAuley Library. Nicholas Lochel grew up in Brisbane, Australia, along with his two brothers and sister, Alison, with whom he is co-writing the ZARKORA series. It was the close bond he shared with his siblings that first inspired the story. He has held a wide variety of jobs over the years, including work as an actor, a bartender and a postie, but his love for stories, and the pursuit of a career as an author, has remained constant throughout. He devotes most of his time to writing, and when he is not seen with a pen and paper or a good book, he can usually be found riding his Triumph motorcycle about town or on some grand adventure. 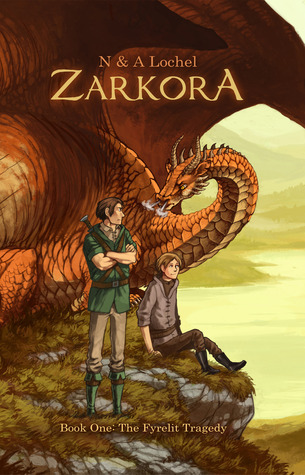 Nicholas spoke to the girls about the Zarkora series. This series is based on the story of two brothers Neleik and Ervine Fyrelit who witness the kidnapping of their little sister, Skye. Determined to rescue her, the boys travel mysterious lands and face powerful enemies in the hope of finding their little sister. The girls participated in a collaborative workshop where they created a plot outline for a story. He discussed how to create a world in which the characters reside in.